This is a really easy idea, which is great for Fathers day. Now the thing to remember with these is that they are not going to look perfect and they are not supposed to, it is your children’s work, so don’t push your need for perfection on to them! 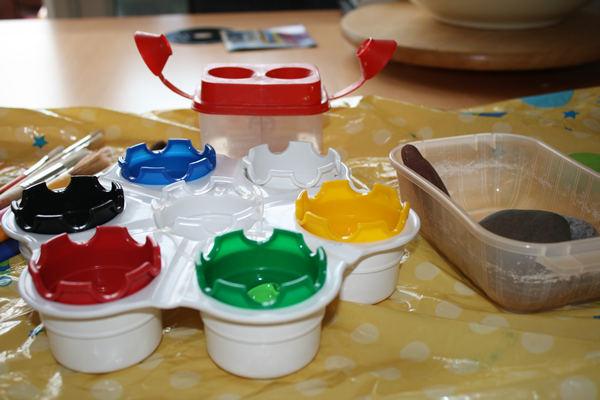 This is a great project for younger children who don’t have a long attention span as you can start it and then return to it once the paint has dried. The first stage is to prepare your stones or pebbles, I just popped them in the dishwasher and let them dry and cool down. 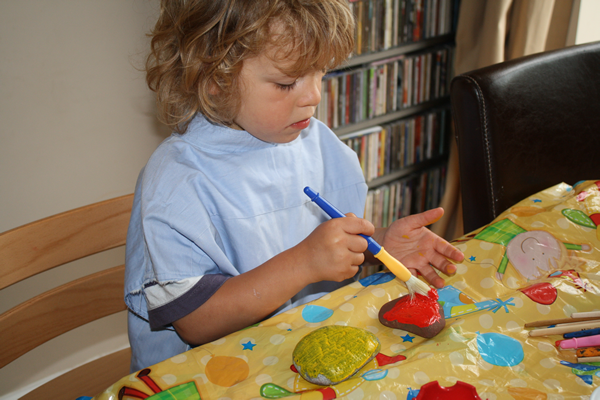 We then painted a base colour on to the stone and allowed it to dry. 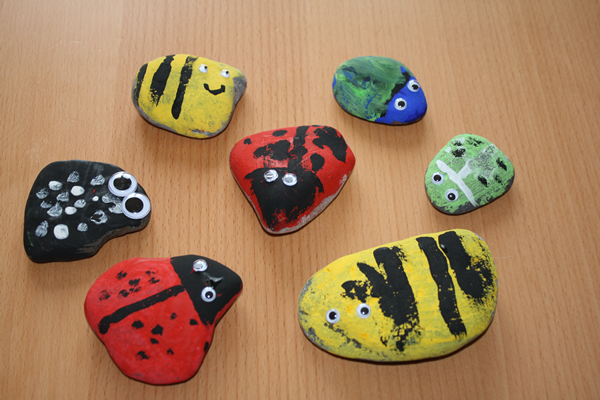 We then added some details on to the bugs, turning them in to bee’s, ladybirds and scary black bugs! One this has dried, then cover with a coat of PVA Glue and again set aside and allow to dry. You can then add some googlie eyes. You may still need to glue these even if they are self adhesive. To finish the paperweight you can glue a piece of felt to the bottom. Written by MADS finalist Mrs Mad from Mum in the Madhouse. Loved this little craft idea? Show a bit of love for our guest blogger by commenting below!